Have you recently started waking in the middle of the night, drenched in sweat; stricken by a traumatic nightmare you’ve just had involving canapés? Do you find yourself flicking through the ‘events’ section of glossy magazines thinking ‘I wonder if those guests are really enjoying themselves or are they just pretending to be having fun’? You are almost certainly experiencing the early symptoms of ‘party anticipation disorder’. With so many dress codes and party themes to choose from, we understand your concern. But don’t worry, help is at hand. We prescribe that you follow our comprehensive guide to planning your special event. You’ll be able to choose the correct dress code for your style of event, know the perfect outfit to wear, and find the perfect dishes to complement your type of party. You should make a full recovery in time for the big day. These days this dress code is pretty rare, unless you’re a diplomat or politician. 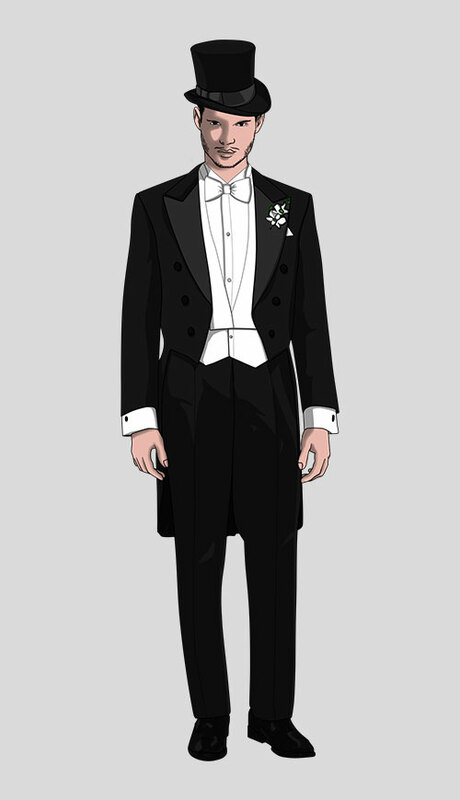 ‘White tie’ indicates that guests will be attending the most grand and formal of occasions. 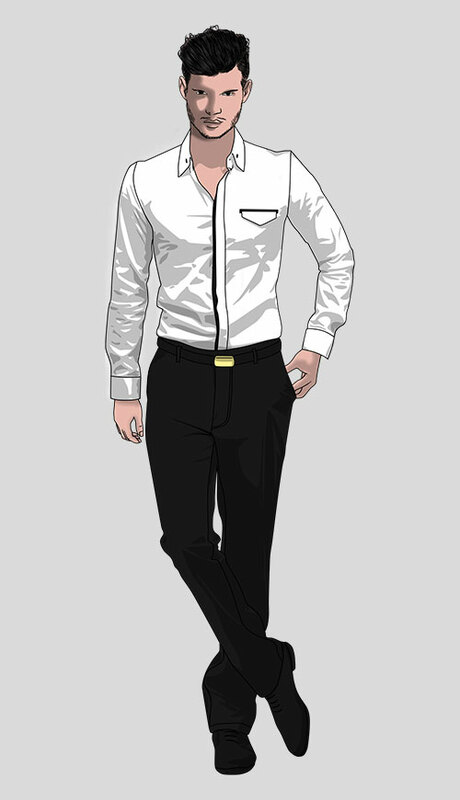 Men should wear a dress coat with tails, matching pants with two stripes of satin or braid, a white piqué wing-collared shirt with a stiff front, a white bow tie, white or grey gloves and black patent shows. 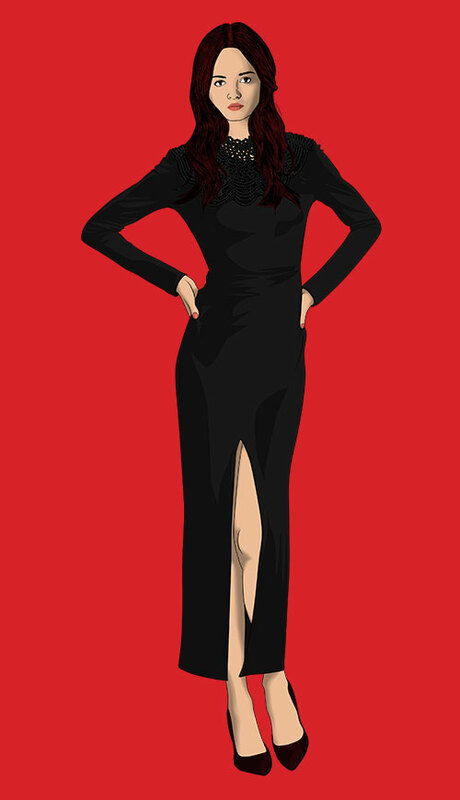 Women should wear a floor length dress with (optional) long evening gloves. Guests will expect a highly formalised event that follows a strict protocol beginning with cocktails served by butlers or other waiting staff. Dinner should consist of as many as 13 courses, also served by staff. The recommended seating plan usually alternates men and women, with the host and hostess sitting at opposite ends of the table. This is the place for the most luxurious cuisines from starters of oysters, lobster and other gourmet seafood to classic French main courses like ‘Beef Bourguignon’. Lavish desserts should follow. The meal will end with brandy and liqueurs. 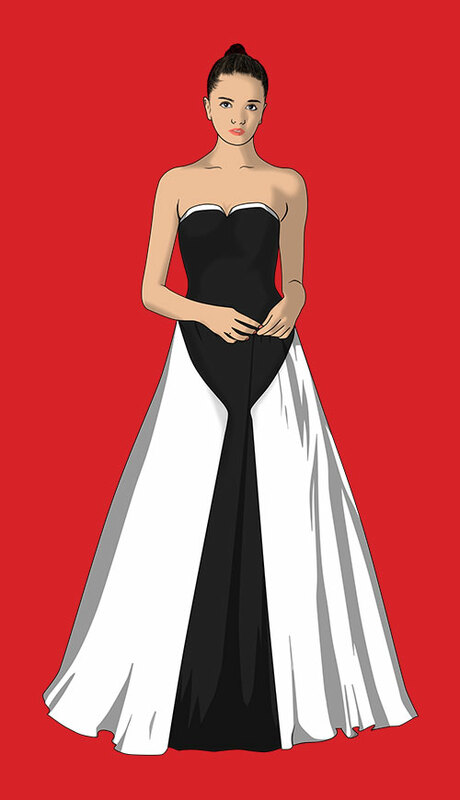 ‘Black tie’ always indicates an extremely formal event. 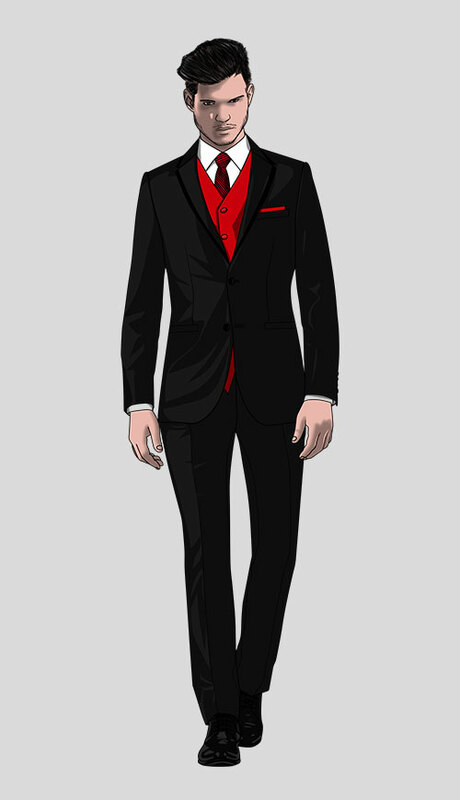 Men should wear a tuxedo and black bow tie with shirt studs and cufflinks. 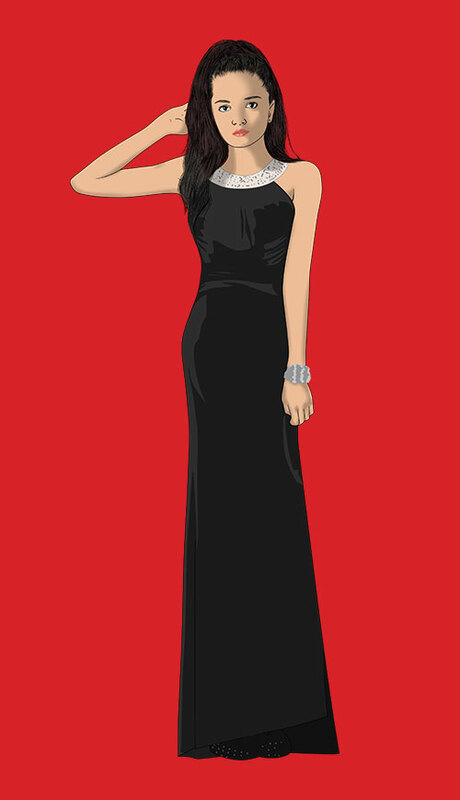 Women may either wear a floor-length dress, an extremely elegant cocktail dress or sophisticated separates. This dress code is perfect for a celebrating a very momentous event, like a landmark-wedding anniversary or special birthday, with a drinks party or dinner. For a drinks party, push the boat out with a full bar offering spirits, sparkling wines and beer accompanied by a range of exotic ‘around the world’ canapés including Carpaccio of beef, smoked salmon and caviar blinis, spring rolls, spinach roulade and samosas. For a special dinner, the menu should be as classy as your guests’ attire. Why not think about an Italian-inspired theme? Serve hors d'oeuvres of antipasto including cured meats, sundried tomatoes and artichoke hearts followed by a classic main course of ravioli or lasagne. This basically means ‘a black tie do with a bit of attitude’. It suggests that the event will be formal but slightly irreverent and lots of fun. 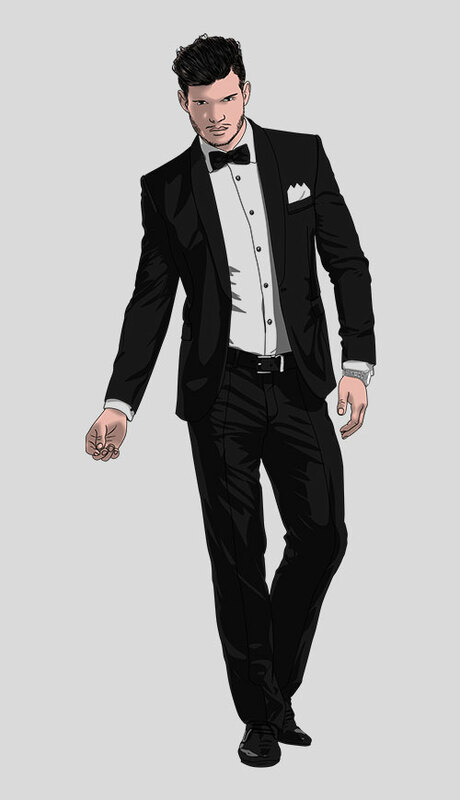 Men should feel free to wear a tuxedo with a black shirt rather than white if they want to. 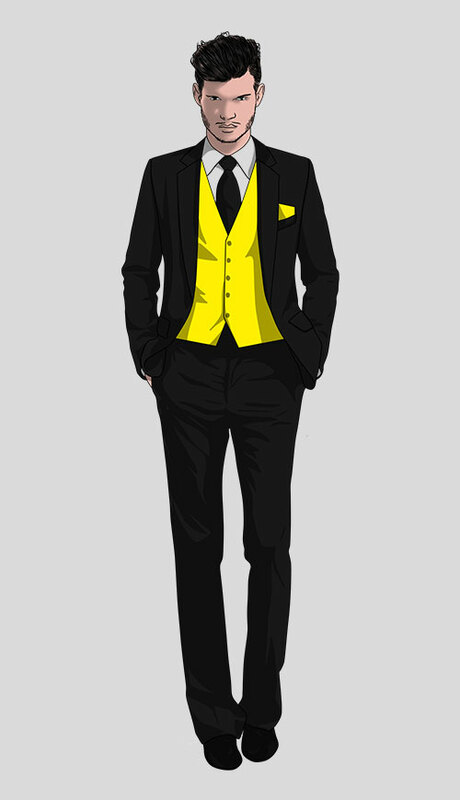 Bow ties may be black or coloured. 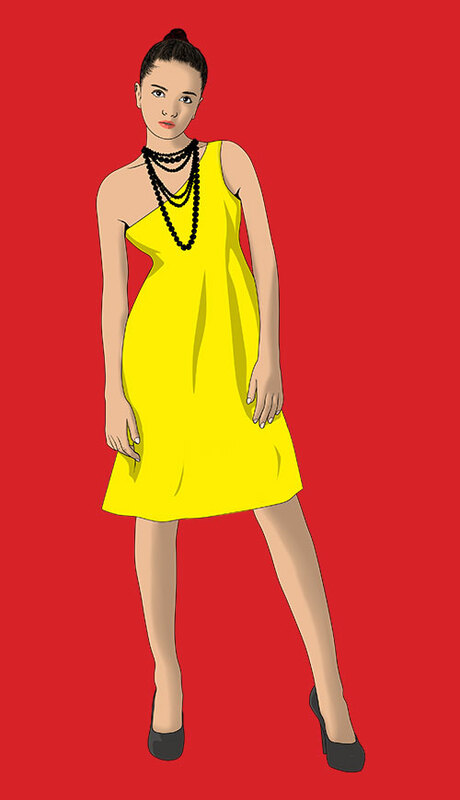 Women are also encouraged to shake things up a bit with a daring cocktail dress and perhaps some funky jewelry. When catering for an event like this, match the modern style of clothing with a contemporary cuisine. You could cover a table with some beautiful Japanese-style fabric, interspersed with pots of orchids, and offer long glass platters of Asian inspired dishes like rice paper rolls, peppered squid, prawns and seafood salad or serve trays of sushi with soy sauce and wasabi. A confusing one this. It basically means that men may either wear a tuxedo or a dark suit and a tie. The dress code for women is more open too. They might choose a long dress, a short cocktail number or even a smart pantsuit. 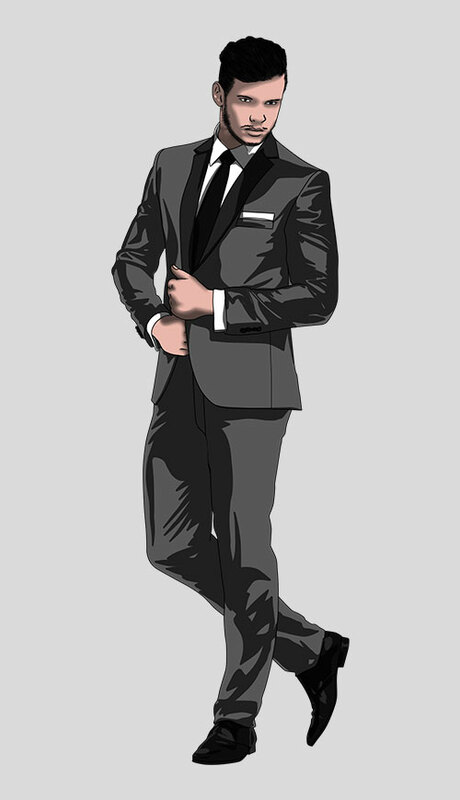 This is great option for parties aimed at people of mixed ages and backgrounds as it doesn’t assume that everyone has – or can afford to hire – a tuxedo. To match the more relaxed dress code, you could host a buffet-style Indian dinner, with thumping music and a range of different kinds of curries, rice dishes and snacks. Encourage your guests to serve themselves - this is a great way of getting people to mingle, make new friends and really get the party going. This calls for the kind of outfit often described by fashion editors as one suitable for ‘transitioning from daytime to evening’. For men that means a dark business suit, a smart dress shirt and tie. 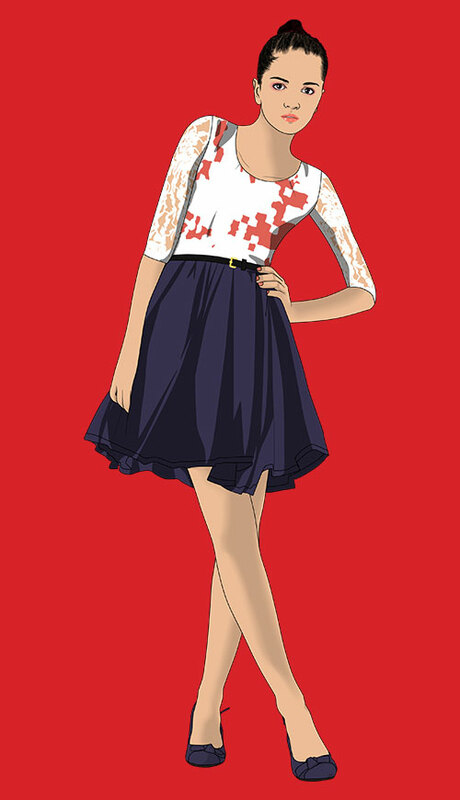 Women should opt for a short, low-key cocktail outfit. 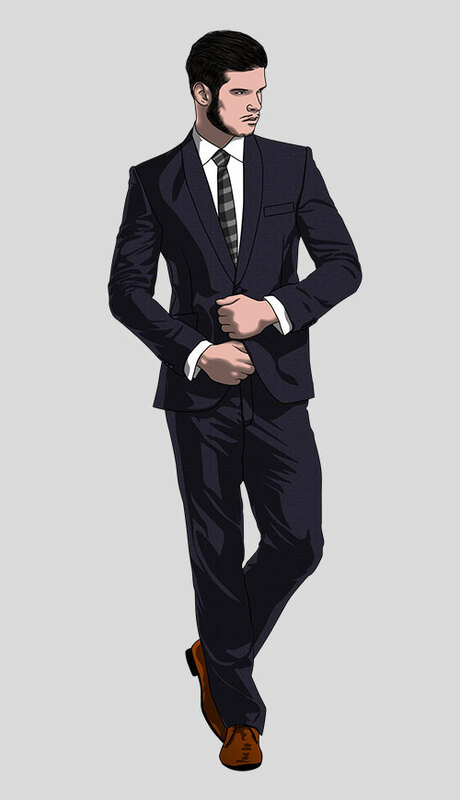 This dress code is perfect for an early evening cocktail party that guests can attend straight from work, before having dinner. As many people probably won’t have eaten since lunch, it’s a safe bet they will welcome some unfussy, sustaining snacks to accompany their drinks and tide them over until supper. You could offer warm cheese straws, mini sausage rolls and vol au vents with a variety of fillings accompanied by small plates of refreshing salad. 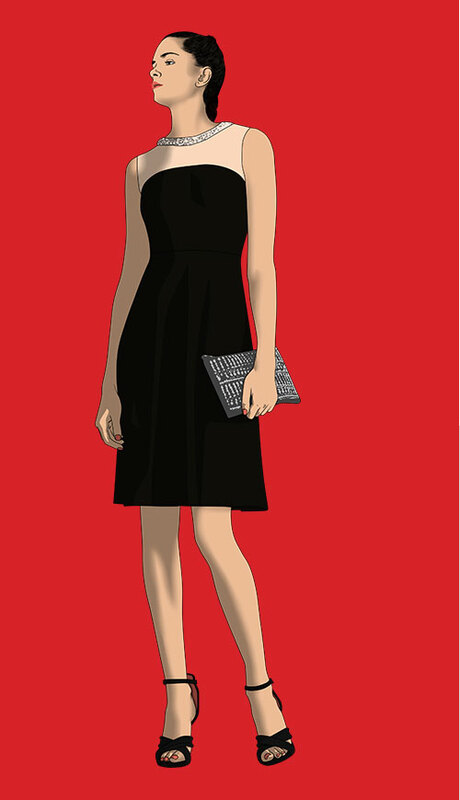 This dress code tends to appear on invitations around national holidays and is often used for themed work or office parties. 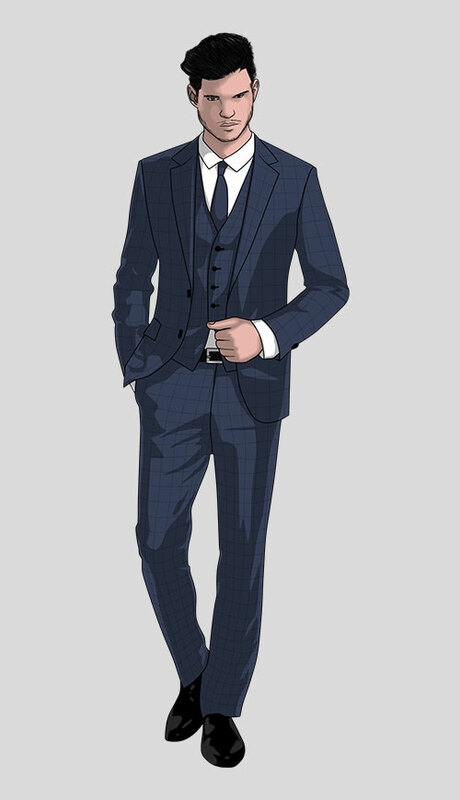 Men should wear pants and a jacket with a tie or vest bearing a festive ‘motif’, like a spider in a web for Halloween. 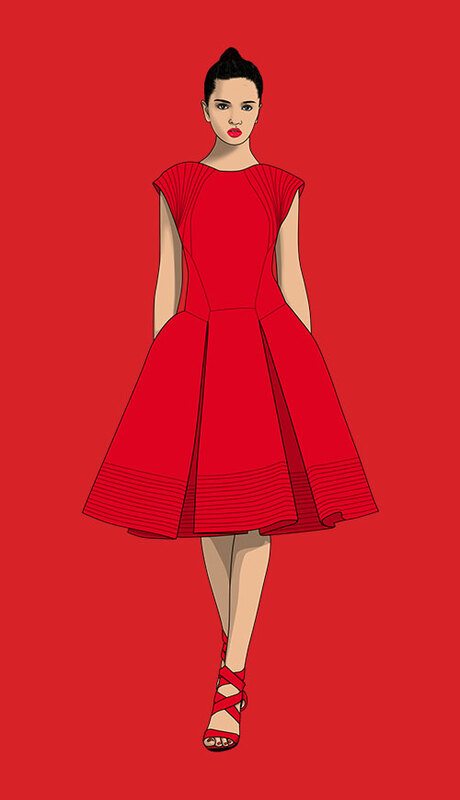 Women might choose a dress colour to reflect the season, perhaps a red top for Christmas or green when celebrating ‘St. Patrick’s Day’. Appropriate accessories, like earrings, are another good way to add a suitable twist to an outfit. Festive times of the year are a great opportunity to throw a brunch party with margaritas and Bloody Marys served alongside potato skins with tasty salsa, sour cream and guacamole dips and canapés like stuffed peppers and mini quiches. 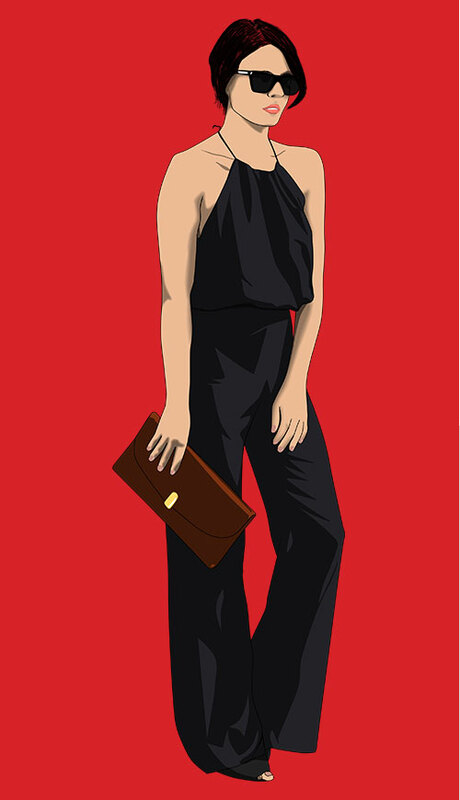 This is the ‘standby’ dress code for many working lunches and conference meals. Men are expected to wear a suit and tie. Women should go for a smart dress or separates. Catering for these kinds of events calls for a no-nonsense approach. Time will be limited and attendees will be doing a lot of talking as they eat and drink. Food is important but the main focus is usually the business in hand. Think about providing a buffet of cold fish portions and meat cuts served with a Greek salad and baked potatoes. Alternatively, set up a ‘help yourself carvery’ of roast beef or chicken accompanied by gravy and honey glazed root vegetables. This is the ‘dress down Friday’ of business attire. Women should think about teaming pants or a pencil skirt with a blouse and leather or linen jacket. 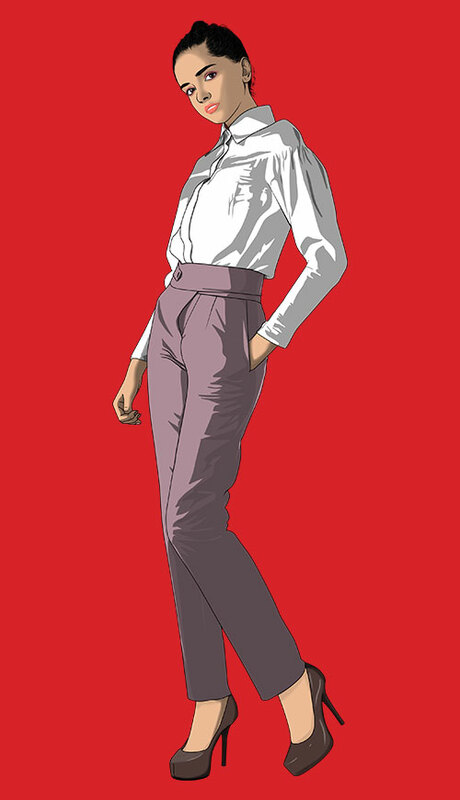 Men can wear chino-type pants and a dress shirt. Ties are not required but jeans and sports shoes are a definite no-no. This code is often specified for evening events on business trips or for ‘get to know you gatherings’ for new colleagues or people coming together to work on neighbourhood projects. For something a bit different, how about creating a middle-eastern inspired feast? It’s a lot easier than it sounds and lots of the preparation can be done in advance. You could offer cutlets or skewers of lamb marinated in a blend of herbs and spices. Serve these alongside enticing salads like tabouli made with parsley and nutty bulgur wheat or couscous with chickpeas, capsicum and cucumber. Drizzle on some yogurt mixed with little lemon juice and add some warm pita or flat breads. Not too smart, not too casual. For women it’s the kind of look that pairs pants with some stiletto boots or a stylish belt. 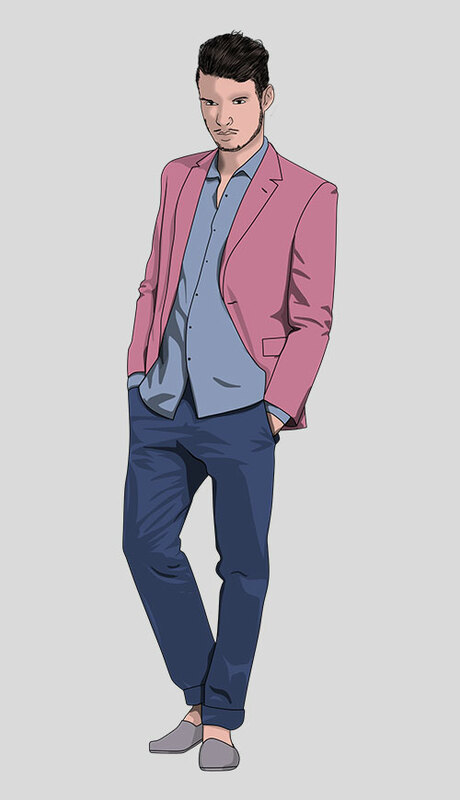 Men can wear jeans as long as they dress them up with suede loafers and/or a chic blazer. This look is perfect for a smart barbeque. Serve up-market burgers and good quality sausages on floury buns accompanied by a tomato and onion salad with mustard and homemade relish. Or offer garlic prawn skewers with a classic Caesar salad or sticky, delicious chicken satay with mixed green leaves and batons of cucumber. For invitations specifying ‘casual’ pretty much anything goes as long as its clean and not sleepwear. Women might choose a pretty sundress while men can wear shorts and t-shirts. Thongs and sports shoes are acceptable footwear. 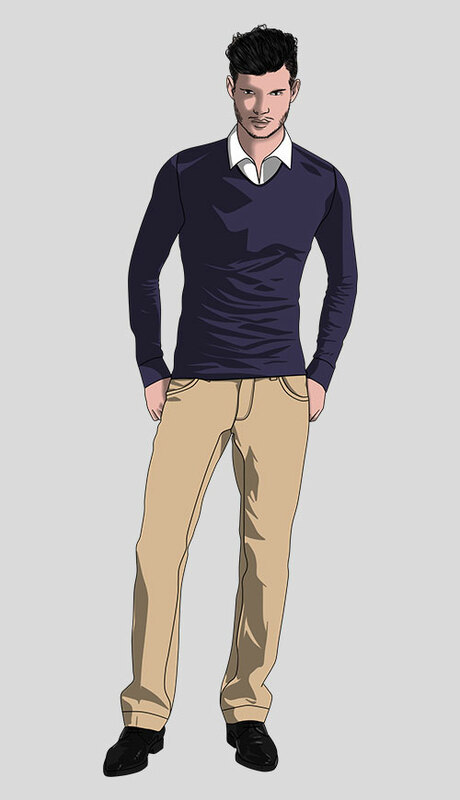 Parties at beach houses, or in properties at bush locations, often specify casual clothing. Although barbeques are the traditional fare for these kinds of environments, a specialty pizza night might be a more unusual option. Fill wooden barrels with ice and create an informal ‘party fridge’ from which your visitors can help themselves to beer and wines. Whatever style of event you choose; remember that the most important thing is to have fun. If you are enjoying your party or dinner, it’s likely that your guests will be too. 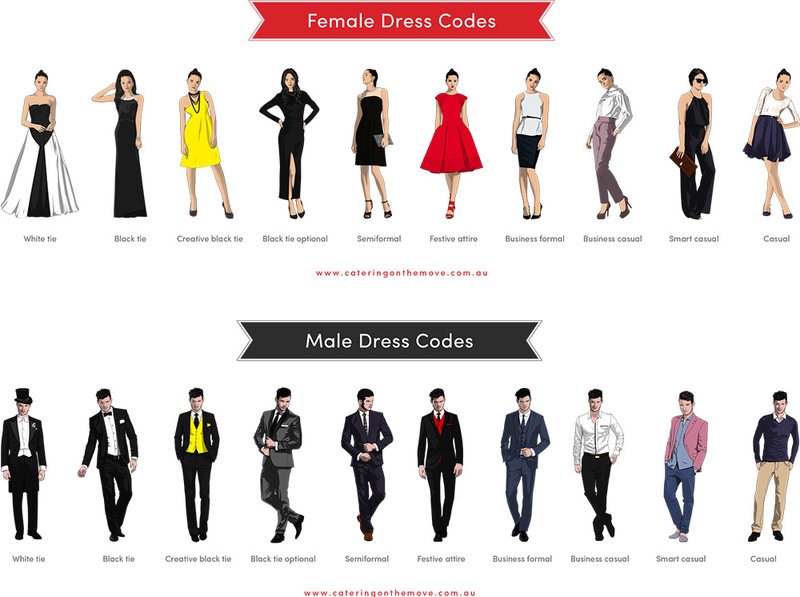 Now that you’re an expert, help your friends out by sharing our handy dress code guides for men and women.